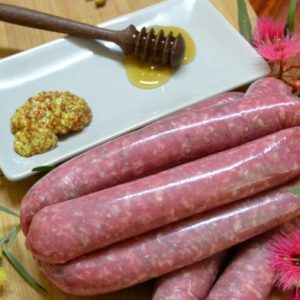 Choose from our selection of organic sausages online below. Feeding a crowd or need a quick meal that’ll satisfy the kids (big and small) in your family? Nothing signals summer more than snags and salad. We know that sausages haven’t always been given a great rap – typically they’re thought of as fatty ‘mystery bags’, that one would eat only at a pinch! Our aim is to put your mind at rest. Our sausages contain at least 90% meat, which is 25% more meat than your average snag. Choosing Border Park Organic sausages means you can rest assured your family is eating real food made with ingredients you recognise. 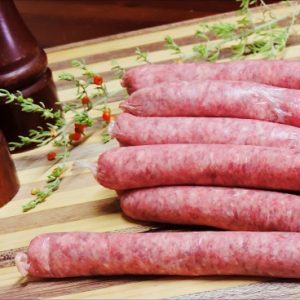 We’ve lovingly combined real meat and quality organic ingredients into each sausage (minus the preservatives and numbers), so you can be certain you’re feeding your family only the best! We also know it’s important to have gluten free options available for those who need it – that’s why all our sausages are free of gluten. Whether you prefer a simple tasting sausage, or you’d rather yours generously seasoned with organic herbs and spices, we’ve got flavours to suit all palates. 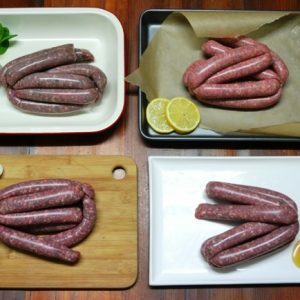 And for those who can’t decide, we suggest our Organic Sausage Sampler Pack. 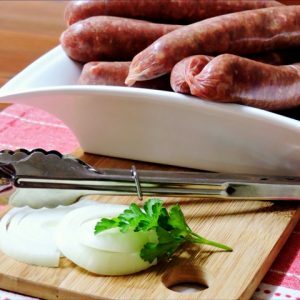 Our sausages start at a modest $11.65/kg, with options to purchase in 1kg or bulk amounts of 4kg. And if your charity has a sausage sizzle fundraiser planned, why not contact us about our special deals? We’re passionate about providing affordable, nutritious meat to families … including great-tasting sausages! 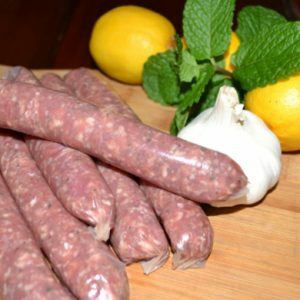 Our organic sausages are perhaps our best selling product of all! Isn’t it time you tried them for yourself?